Enter the contents of note in the text area and select the user for whom you are writing this note and after that click on "Save" button. The existing collaborations are shown on the same screen above the collaboration form which can be read by other admin users. 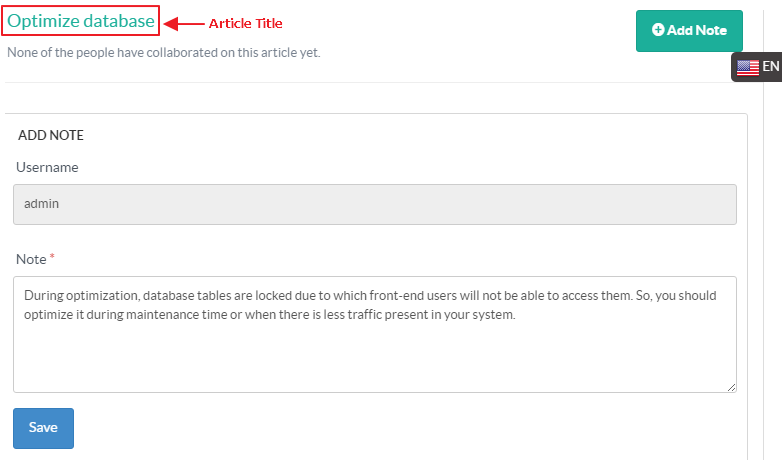 You can either click on edit or cross icon displayed at the right side of the posted note (shown in the figure) to edit or remove it from the knowledge base.